There are numerous projects to choose from. 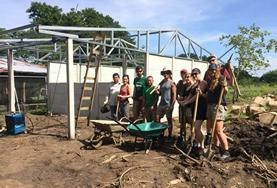 You could volunteer on our building project and help with the construction of class rooms and care centres. Alternatively, you could work in a busy maternity clinic, helping both pre and post-natal patients, and assisting staff with deliveries. 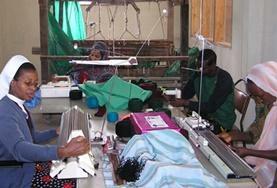 Other options include Business, Teaching, Journalism, Care, Human Rights and Micro-finance projects. 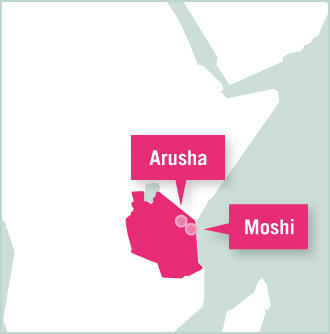 Our projects are based Moshi and Arusha. 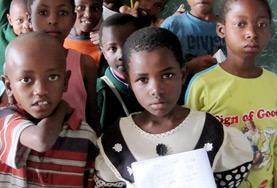 The majority of Projects Abroad volunteers in Tanzania live with local host families. This allows you to experience Tanzania from a local’s perspective, a very different world from the often luxurious hotels of the safari industry. 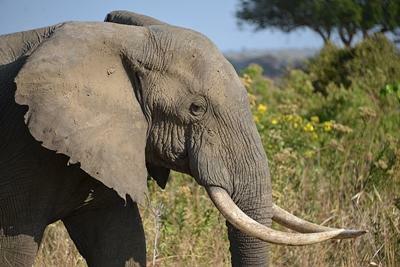 Tanzania is an intensely varied and colourful land on the East coast of Africa. Home to Africa’s highest mountain, largest lake, huge wildlife reserves and hundreds of paradise beaches, it is without doubt one of Africa’s most appealing destinations and a superb introduction to the African continent. Healthcare and education have also improved since independence and volunteers working in schools, care homes and medical institutions can help this progress to continue. Living in energetic, colourful Tanzania will certainly provide you with plenty of interests and entertainment when you’re not working. The vibrant markets are worth exploring, and are a great place to buy traditional batiks, wood carvings and Maasai jewellery. 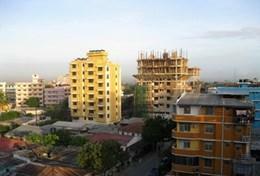 Moshi is situated in the heart of the mountainous Kilimanjaro region. Known as the gateway to the Kilimanjaro National Park, this peaceful and friendly city is surrounded by mountains, forests and meadows. As one of Tanzania's major coffee producing hubs, you can find the secret to the perfect cup of coffee in Moshi while touring the farms and surroundings. 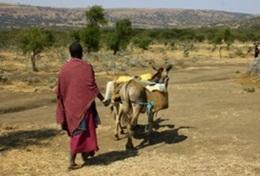 The town has a fascinating history and gives you the opportunity to work surrounded by the Chagga tribe. Learn more about their traditions, culture and daily life up close or take a cultural tour around the city. Hike to the glistening waterfalls along the lower mountain slopes, enjoy a soak in the bubbling hot springs, or take a bike tour from the bustling main roads to the nearby villages, through forest trails and lush green rice fields. Tanzania is now firmly established as one of the best safari destinations in the world with an impressive 25% of the country protected as national parks or conservation areas. Although working as a volunteer in Tanzania will primarily put you in contact with the welcoming Tanzanian people, the wildlife is not to be missed. Our base in Arusha places you within easy reach of the vast Serengeti National Park and the lesser known Arusha National Park, which can be visited as a day trip from Arusha. Mount Kilimanjaro National Park is also less than two hours drive away, and climbing Africa’s highest mountain is an enticing and achievable challenge for most. Travel around Tanzania has improved greatly over recent years and buses between the main towns are cheap and reasonably efficient. 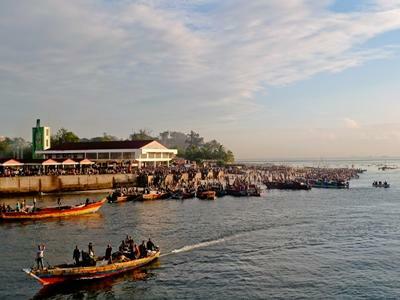 Travelling by train is an option to visit towns between the coast and the west of the country. Building General Building Projects Work alongside local builders, helping with the construction of classrooms and care centres. You may be involved in mixing cement, digging foundations, plastering and painting. 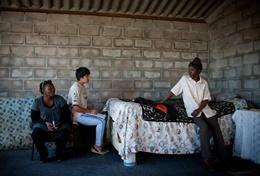 Volunteers are needed in care centres and special needs schools. 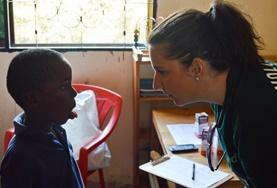 You will work alongside local staff to help with general care, play games and teach the children basic classes. Work with a local youth organisation in Tanzania and teach young people from disadvantaged backgrounds about the creative and technical aspects of filmmaking. 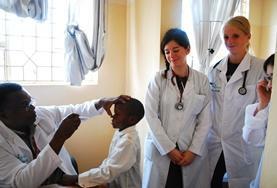 If you are looking to make a real difference whilst undertaking your Medical Elective then a placement in Tanzania may be ideal. You will benefit from the guidance of trained local staff. Taking a Midwifery Elective placement in Tanzania means that you will benefit from the guidance of local staff whilst providing invaluable support to mothers and babies. 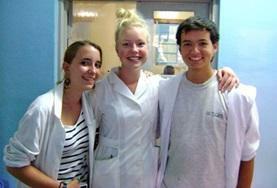 If you take your Nursing Elective in Tanzania you are sure to find the experience both challenging and rewarding. 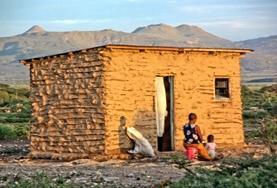 You may witness some conditions you would not normally see in your home country. Work alongside staff in a dental clinic in Arusha. As a volunteer you can observe procedures such as tooth extractions and join outreach programmes in local schools and care centres. 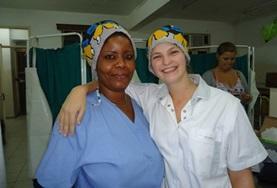 Choose between working in a large government hospital or a small health clinic in Tanzania. 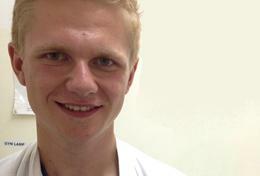 There are a variety of departments available including HIV, maternity, surgery and paediatrics. 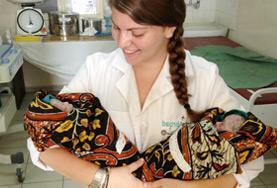 Help poor and disadvantaged women and their babies while working as a midwife in Tanzania. 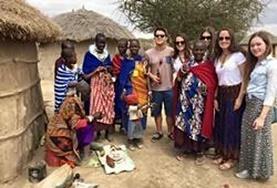 Volunteering on a Nursing project in Tanzania will allow you to observe a number of medical conditions whilst working alongside local staff in institutions that suffer from a lack of funding. Under the supervision of a professional occupational therapist, gain skills and experience working with individuals who are injured, suffering from an illness or struggling with a disability. 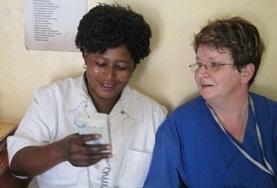 As a volunteer on this project you will be based either in a care centre or rehabilitation centre. You will work with trained local staff providing support to both children and adults. 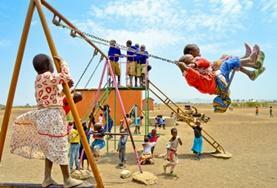 Help treat children with speech and language difficulties at a rehabilitation centre in Moshi. Gain work experience while helping children to overcome communication impairments. Micro-finance Work alongside local staff to help provide local people with the skills and financial assistance needed to start a business. In return you will gain an insight into the process of developing small businesses. 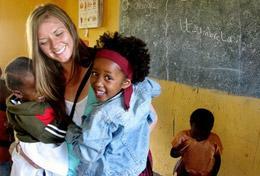 Volunteer as a teacher in Arusha or Moshi. 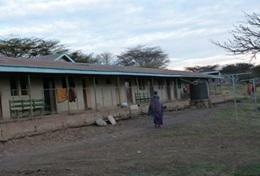 Volunteer in primary and secondary schools or schools run by Projects Abroad for the Maasai. Take part in an intensive standalone Swahili language course or sign up for language tuition alongside your regular placement. 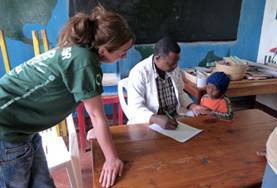 Gain an understanding of the medical needs in a developing country by learning from local doctors in large hospitals, and helping treat local people in rural locations. 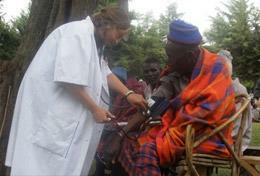 This project focuses on vital healthcare campaigns in rural communities. It offers a chance for you to contribute to a programme that provides an important service. 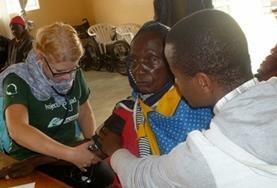 You can be involved in carrying out basic health checks and leading educational campaigns. 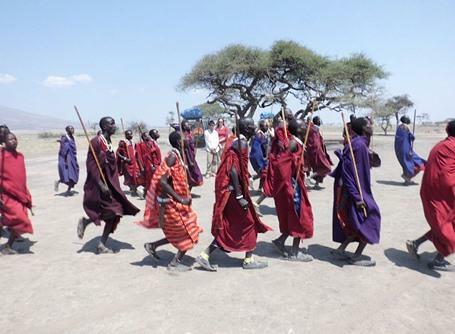 As a qualified doctor you have the opportunity to help treat patients in an under-resourced and under-staffed Maasai community hospital in Tanzania. As a qualified midwife you have the opportunity to assist mothers and children in rural hospitals in the Maasai community. 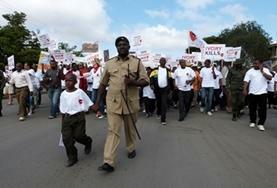 Volunteer lawyers are need in Tanzania. You will be working towards reforming inheritance and property right laws which are currently leaving many women impoverished. The aim of this project is to assist entrepreneurs and small businesses. Experienced volunteers are needed to help with the provision of interest-free loans and provide advice for these businesses.